Winches are an all-around utility tool that every ﻿﻿﻿ATV or UTV﻿﻿﻿ should have. They allow your vehicles to get out of messy situations. They also prove as a good add-on for snow plowing during harsh weather conditions. If you’re looking for the best ATV﻿﻿ winch for all around use, read our reviews for a better look at what’s good for your needs. 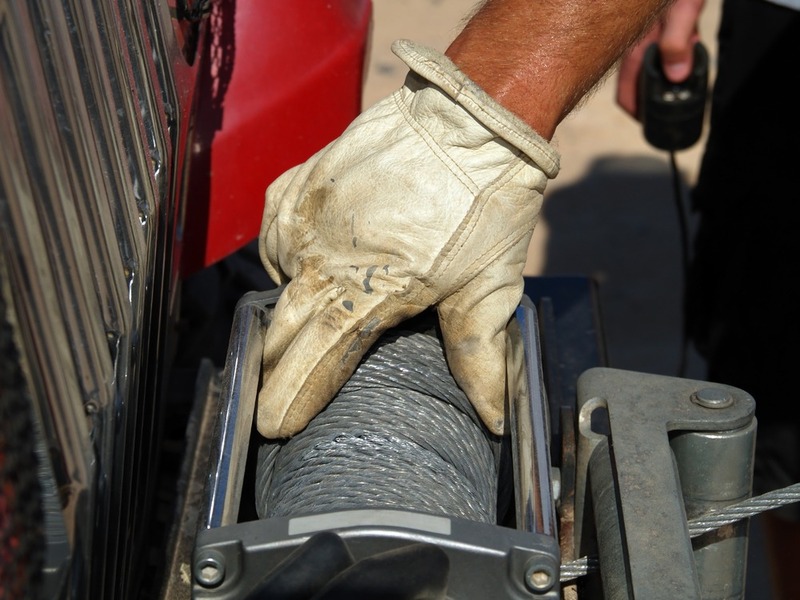 What you need to know about ATV Winches? When choosing an ATV winch for your vehicle, it's necessary to know what kind of work you’re putting it up for. You need to be sure that what you’re getting is of good quality. You’re going to be relying on it to save your ATV when it gets stuck. But before you go on and buy one, it’s best to know that there are different kinds of ATV winches out there. 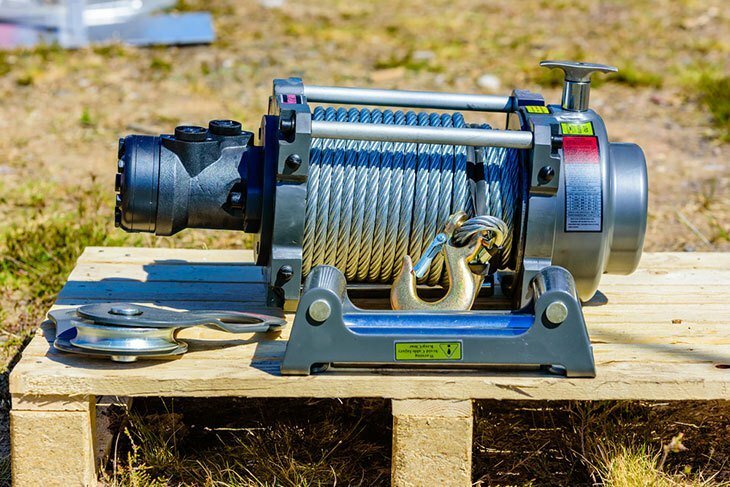 Types of Winches and What to Get? What Should You Look at When Before Buying one for yourself? There are two types of ATV winches on the market today: electric and hydraulic. The electric type uses the battery of your ATV for power. While the hydraulic type uses the vehicle's power steering pump. Nowadays, the only kind you should focus on should be the electric ones. But then again, there are still some people who prefer the hydraulic version. The main difference between electric winches is their gear trains. The first kind is the worm gear train. This gear train only has two gears to turn the drum. They operate slow and don’t generate too much heat when operated. What they lack in draw speed is about their power output. The second kind is the planetary gear train. They make use of many gears to turn the drum, causing it to coil up faster, but generating more heat than the worm. The last one is a spur, which uses two gears: one for the motor shaft, and the other for the winch shaft. These gear trains are fast but provide low power. There aren’t that much of these in the market left today, so it’s best if you concentrate on the first two. There are many factors that make an ATV winch a good value for the money. Here’s a quick rundown on what you should check when getting one for your vehicle. This should be the first thing you should always look at when checking for a winch. The general guide is to check your vehicle’s gross weight and multiply that by 1.5. That’s the amount of pull you should be looking for. The rated capacity you see is for the first layer of cable on your winch, unless otherwise specified. The first layer will always have the best pull. Permanent Magnet (PM) motors are usually found on lower tier winches. They offer around 15 percent lower amps than the heavy duty motors in the market. Series Wound (SW) motors are a lot more practical for power. They are also good in cold weather as PM motors lose power in colder climates. As we’ve mentioned earlier, electric winches are more preferred over hydraulic winches. But if you still prefer the latter, Mile Marker still has some in production. In comparison: a hydraulic winch can run as long as your engine is on since it doesn’t use your batteries. While an electric winch can only serve you for a few minutes after your engine is dead. Electric winches are more popular is that they’re easier to find than hydraulic winches. Wire ropes are usually the ones you see bundled with your winch when bought. They’re more durable, heat resistant, and are very affordable. It can be a little heavy and can crush itself when not taken care of. Synthetic ropes are the newer, lightweight version of the old rope. That said, it’s more prone to breaking and is not very good with heat. Performance wise, it’s still a better choice, if you can tolerate the hefty price tag. Choosing between a worm or a planetary gear train can be daunting for first-time buyers. But choosing between the two is simple. For low cost, low weight, and size, choose a planetary gear. For heavy-duty, high-load, and extra power, choose worm. The only downside is that worms are generally slower. Also, planetary gears are a little weaker. This should go on a case-to-case basis. Different situations can call for different setups. It’s highly advised that you check out forums and reviews for what the unit can do and what it’s good for. While most units have this included, there are still some out there that don’t have it pre-packaged. This can cause you extra trouble since you may have to buy it separately. Save yourself a trip to get one by making sure that the package already includes it. Not all mounting systems are universal. There are some who simply won’t fit on some ATV models. So it’s best to check with the manufacturer on what models their winches mount on. 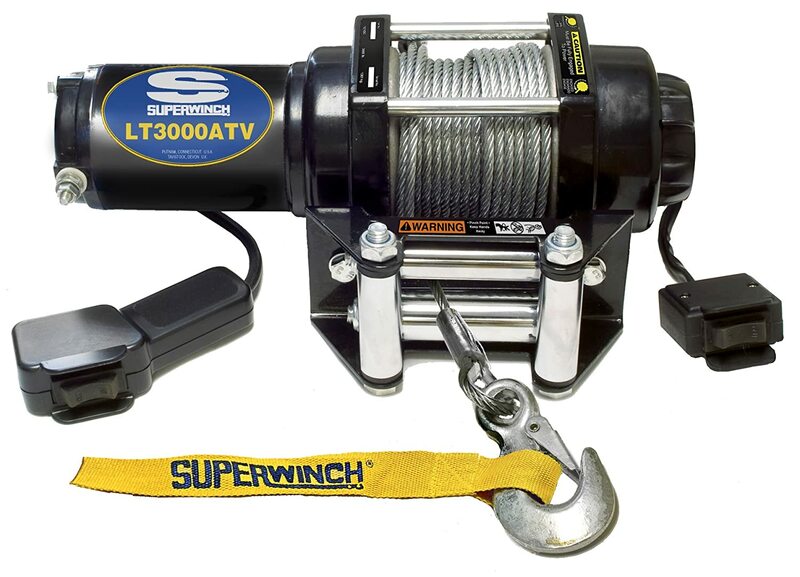 If you’re still lost at which ATV winch to buy, check out our reviews below for our top 5 picks for Best ATV winches. ** Below, you'll find our more detailed reviews, but you can also click the links above to see current prices or read customer reviews on Amazon. The Terra 35 is a good choice for people looking to get a winch for everyday use. It’s highly efficient, with a 1.6-horsepower PM motor, which features a low amp draw. It has a 50’ 13/64” wire rope and a responsive ergonomic cam action free spooling clutch. This is a planetary gear type winch, but with two times the width compared to regular planetary gears. The gears feature machined-in bronze bearings for better performance. It can carry 3500lbs with a single line pull system. Good for the amount of money it’s worth. The 2500-S is powered by a 0.9-horsepower, sealed PM motor, running at 12V DC. 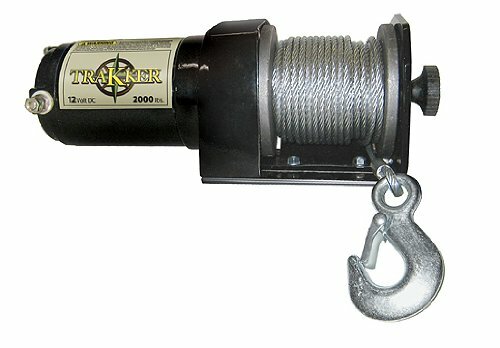 It has a good pull at 2500lbs and is a good deal, considering it comes with a 50’ synthetic rope. It is operated with a 3-stage planetary gear providing an efficient and smooth flow. It also includes a patented roller disk brake for better control. The body of the winch itself is fully sealed to help with durability and to keep the elements out. The KT2000 is a relatively low-tier electric winch that can perform. It has a 1-horsepower 12V DCelectric motor that can deliver up to 2000lbs of line pull. It comes with a 50’ of 5/32” galvanized wire rope pre-wound on the purchase. The winch uses an all-metal planetary gear train which provides high-quality performance. It’s fairly easy to install on your ATV or UTV since most of the items you need to install included inside the package. 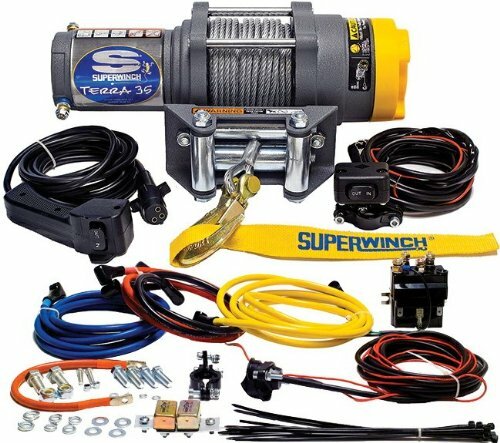 This model from Superwinch is packing a whole lot of power with a line pull rating of 3000lbs. It uses a sealed 1.2-horsepower permanent magnet 12V DC motor. This provides top-tier performance. The LT3000ATV includes a 50’ wire rope which is great for heavy hauls. It’s a single-stage planetary gear system with a 136:1 gear ratio. The kit includes a Fairlead, 4-way roller, with a mounting bracket and can be installed by anyone. The XT25 Extreme Terrain has a 0.9-horsepower motor that generates a line pull rating of 2500lbs. It’s a 12V DC Permanent Magnet motor that’s sealed for durability. It includes a 50’ synthetic rope. This means lesser costs for rope replacement. It also has a 3-stage planetary gear for higher efficiency and quality performance. It has an efficient electrical system to protect your batteries for long pulls. 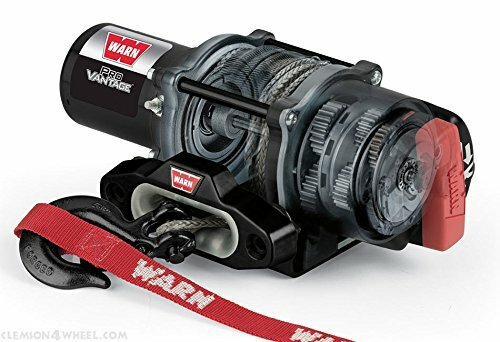 WARN has a good reputation with winches, but this unit seems a little too pricey for what it can do. While it may seem like rocket science, getting the best ATV winch is really not that hard. Withproper research, you can definitely get the winch that’s best for you. If you’re looking for versatility, we recommend the Superwinch ﻿1135220 Terra 35. First of all, it has the proper equipment already included in the package when you get it. This ensures you won't have any problems with installation whatsoever. Second, it has great power, rated at 3500lbs at a very affordable price. The cables may not be synthetic but you can replace it if you prefer. It also runs on a Permanent Magnet motor which is highly recommended nowadays. Although the Terra 35 runs on a planetary gear train, it doesn’t lack power. The efficient electric system allows users to use it longer without draining batteries. The high power yield of the motor (1.6hp) is also a big plus. It guarantees the ability to survive long hauls. This allows you to escape even the deepest mud traps and the stickiest situations. The other items included in our reviews are also great. But when it comes to winch capacity, line speed, gear ratio, and durability, the Terra 35 is a clear winner. There are still better products out there that may fit your needs. ATV winches are situational. If you’re just looking for a cheap but good unit, the Keeper Corporation KT2000 might be a better choice. If not, then the Superwinch Terra 35 is the way to go.